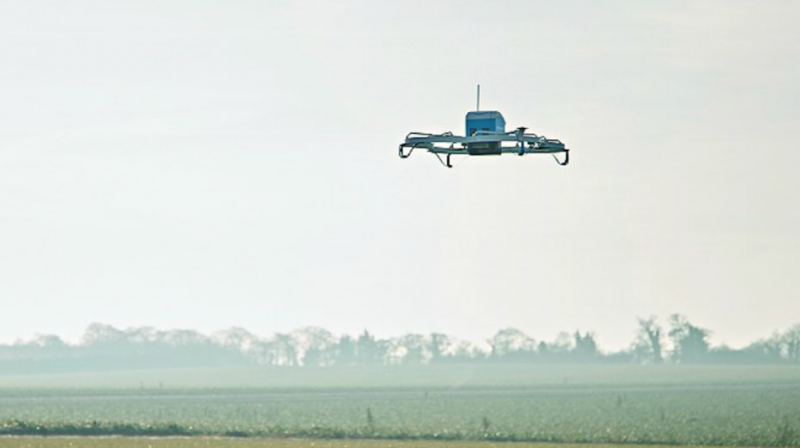 Amazon completed its first drone delivery Wednesday in the U.K. and not in the U.S., marking the debut of its comprehensive unmanned aerial vehicle (UAV) shipping service. This was a direct manifestation of America’s burdensome regulations, which seem to be forcing Amazon, and other businesses, to take their drone technology abroad. Delay the Result of FAA Drone Regulations? Dourado and Ryan Hagemann, technology and civil liberties policy analyst at the Niskanen Center, pin much of the blame on the FAA’s overarching skeptical view of such technology as a problem. Dourado referred to it as “a culture of complacency,” and Hagemann calls it a “dragging” of the feet, saying that America not only has a relatively poor regulatory framework, but also didn’t come up with a framework in a timely manner. “Research, development, and testing of drones started going overseas years ago as a result of the FAA dragging its feet on establishing clear rules for commercial operations,” Hagemann told TheDCNF. Amazon, the supply chain and retail company delivered an Amazon Fire TV stick and a bag of popcorn to a customer in Cambridge, U.K., according to the Daily Mirror. It apparently only took 13 minutes from the moment the purchase button was clicked to having the order in the consumer’s hands. “The UK is a leader in enabling drone innovation – we’ve been investing in Prime Air research and development here for quite some time,” Paul Misener, Amazon’s Vice President of Global Innovation Policy and Communications, said, according to the Daily Mirror. “The UK is charting a path forward for drone technology that will benefit consumers, industry and society,” he continued. This milestone in drone technology could have happened in America, but Amazon chose the country with a regulatory climate that is more conducive to proper UAV testing and subsequent application. “US based companies want to innovate, but this is yet another case where agencies stand in the way of progress,” Will Rinehart, director of technology and innovation policy at American Action Forum, told The DCNF. “Aside from operationalizing commercial drones, the United States is still a major leader in new emerging technology deployment,” Hagemann continued, referencing autonomous and semi-autonomous vehicles. While UAVs and their implementation into distribution services may not be a completely lost prospect for the U.S., the country is surely behind in the race. “Drones are the biggest example of an emerging technology that has off-shored from the United States simply because of the regulatory strictures in place,” Hagemann explained.